CEREBRUM – Brain Injured and Families is a nonprofit association, which was set up in 2007 to contribute to understanding of brain injury, to provide information and to support people with traumatic or other acquired brain injury, their families and caregivers. to provide rehabilitative and health support programs for brain injury survivors and their caregivers. 1) Rehabilitative – reconditioning programme: Within the framework of our Rehabilitative – reconditioning programme, we train participants to anticipate their difficulties better and develop compensationary strategies that help them overcome their impairments. Participants amplify their capacities which were impaired by brain injury, improve their communication skills and gain abilities needed for asserting oneself in daily life. The psychosocial impact is very positive in that it reduces social isolation, which is a frequent condition that brain injury often leads to. 2) Self-help groups for family members: The basic principle of self-help activities is to provide a space for mutually supportive sharing of experience by family members and carers of loved ones after brain injury. The concept of self-help groups is based on first-hand knowledge and that the impact of family life after brain injury and problems which the family must face are best understood by members of the family. The main motive is to share experience, search for common solutions and to provide support. Integral to the process is the important fact that meeting with other carers can in itself provide rest from the often physically and mentally demanding carework involved. 3) Counselling: We provide advice in support of people after brain injury and their families through personal consultation with a psychologist, telephone consultations, and internet consulting. We are also trying to raise public awareness of the issues surrounding acquired brain damage. 4) Lectures: Awareness raising about the consequences of brain damage and the possibilities of therapy or care is further increased through regular lectures by experts working with people after brain injury and their families. 5) Newsletter Makovice: The purpose of publishing it is primarily to increase the information available not only to people suffering brain damage, but also their families and professional society on the issue of brain damage. It contains relevant information about current issues relating to the rehabilitation, care and overall quality of life after brain injury. The newsletter is also a means of informing readers of the activities of CEREBRUM. 6) Recovery stays: CEREBRUM organises Recondition stays since the year 2008, usually 1 week and 2 weekend stays yearly. 1) Inclusion after Brain Injury: In September 2009 we launched an international project called “Transfer of good practices and knowledge in social inclusion of people with acquired brain injury” funded by European Social Fund through the Human Resources and Employment Operational Program. The main objective of the project is to identify key deficiencies of system of care and rehabilitation after acquired brain injury (ABI) in the Czech Republic, find about availability of care and rehabilitation in regions and propose necessary system changes. 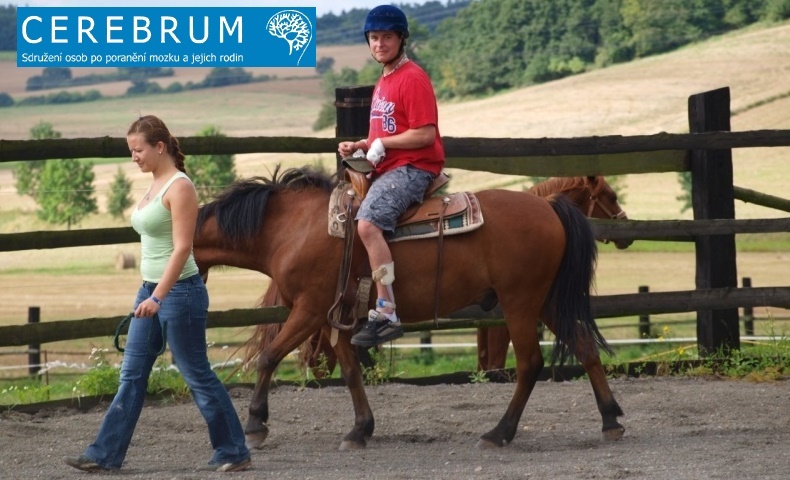 2) Cerebrum2007 Club for people with ABI: The Vodafone Foundation was the first foundation to support our Rehabilitation & Reconditioning Program we had been providing since spring 2008 thanks to financial support from MUDr. Oldrich Vysata and his company named Neurops. Apart from little rehabilitation program we also gained funds to equip the Club with retail property, buy a printer and a computer, open up a library and extend our offer of free-time activities. We moved from volunteering to gradual professionalization.